What a great way to spend a glorious day. I haven’t ridden in decades. But I do walk through the woods on my way to work. 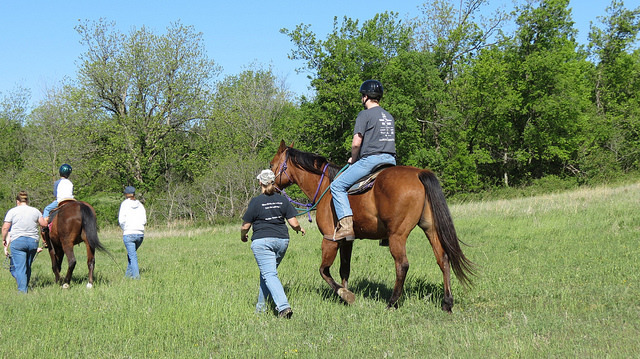 I always enjoy walking through the woods [except for snake traffic]….and what a glorious beautiful day for horseback riding!!! 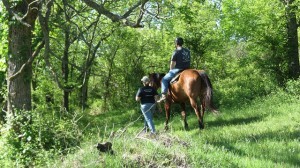 What a perfect day for a horseback ride, a walk in the woods — just about anything! I still miss my horses!! Thanks for sharing the fun — a always!! Hope your week is going well! What a great experience for the kids! 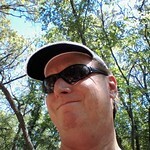 Your woods are very lush and lovely. 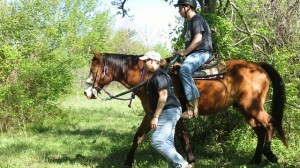 Good for Logan, learning to love both the woods and the horses. Looks beautiful. I haven’t had a walk in the woods in quite a while. Lots of desert walks, however!! PS: As I type this, I’m watching OKC beat up on the Clippers pretty badly. Ouch! Doesn’t spring greenery look beautiful?